Official news, announcements and development updates. Welcome to the Galaxial development log for February! Here are screenshots of some of the new ships I've been making this month. 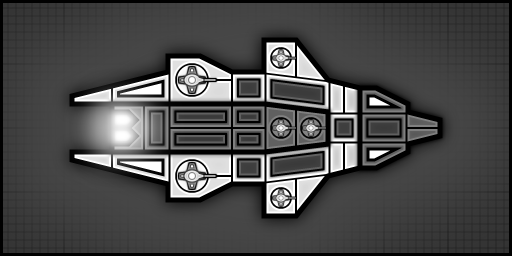 The graphics are created in the default white/grey color but the hull, turret, engine and trail colors can be customized in game. 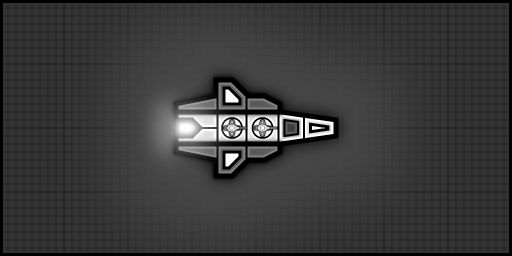 I am currently debating whether to have completely unique ship graphics (and art style) for each playable faction. Rather than my previous decision of having most of them shared between all Human factions, while only having a few unique ones each. This would mean a considerable amount of extra graphics to create, and less ships overall to choose from per faction... but would bring the total amount of ship hulls in the game to around 150. All those ships are shared betwen those two factions. However as soon as those factions reserach better versions of those, they got unique model that will fit their faction. So baseline is the same across whole race (in this case Humans). But as game progress, diffrientation becomes more and more apparent. And those diffrences do not need to be actually huge. They may be visual only even... 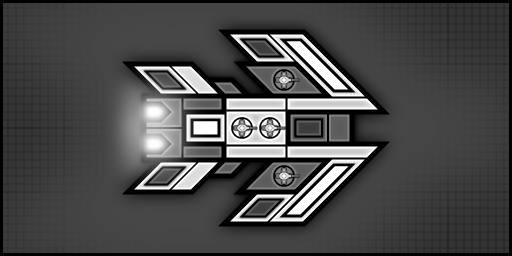 Though I personally preffer to see real diffrences follow with visual ones (for example if faction X is supposed to have better shields than faction Y, insted of giving it flat +10% bonus to shields, I would preffer their ships to have 1 additional place for shield module, that can not accept any other type of module). But that is just my take on this situation! I am not even sure if it would fit at all! I think that adding this will pay off in the long run because even if they have fewer ship per faction for to gain uniqueness more can be added later. I think it would be a little monotonous if all the factions had same looking ships just different color. Tt wouldn't interest me to try out other factions if that was the case. Thanks The last one it would be good to have a faction using that theme and style. Modest wrote: As for making unique ships per faction - why not go third way... Make all ships that are "baseline" to be shared. So every faction will have "base" variant of starting ships (I do not know how you want to handle that, but every game has most baisic starting units that do not require ANY research unlock), but as they research more advanced ships, they start to diffrentiate more and more? Yeah, this is roughly how my first proposed ship sharing idea would work. But with not quite as many unique advanced ships. This is exactly what I'm thinking also. 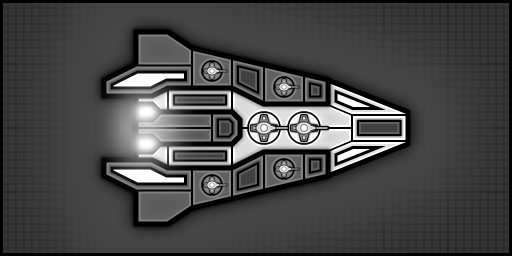 With each faction having unique ship graphics, even if that means initially having just one or two ships per class (destroyer, light cruiser, heavy cruiser, transport, battlecruiser, battleship, carrier etc.) it would make the game much more expandable for future updates/addons. Rather than having to switch everything around once enough graphics (and styles/themes) have been created to spread across all factions. Right. It does looks like completly diffrent style, that doesn't mix well with other ships presented, or even other ships I saw so far. And since we are talking here about factions... How many of them do you plan to implement? There are 10 factions planned and partially implemented at the moment. However, this could change by release... The factions planned are all Human, but Alien races could possibly be added later on through updates/expansions and modding of course. No promises! I will see how it goes... the final amount could be reduced or some factions postponed to be added later. This is probably a long shot but can we get a video of a small play through like a handful of planets? You haven't put up a video in ages. Geach wrote: This is probably a long shot but can we get a video of a small play through like a handful of planets? You haven't put up a video in ages. Not at the moment I'm afraid. I have a lot going on development wise (that I cant talk about), so am currently very busy with that.